Turtle Beach are well known for delivering high end quality products to the gaming audiences across the land, but sometimes all you want is a cheap and cheerful headset that can be flung around without too much care – this is where the Turtle Beach Atlas One Gaming Headset comes in. Want to check out a first look and unboxing? Thanks to the team at Turtle Beach we have been able to get hands on with one of the most recent products to hit the TB line. The Atlas One Gaming Headset works with near on any device that comes with a 3.5mm port attached, and that means no matter whether you game on Xbox One, PS4, Nintendo Switch, PC or even the mobile, this headset will deliver the goods. With 40mm drivers, a flippable, mute-able mic, and some well cushioned earcups, the Atlas One certainly brings the basics to the table. Yes it is a wired device, but one little cable to and from the controller shouldn’t worry anyone. 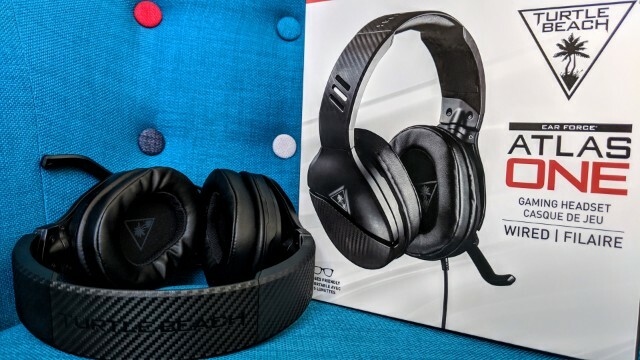 Our full review will be with you in the days ahead, but for now we want to leave you with a first look and unboxing of the Turtle Beach Gaming Headset for Xbox One, PS4, Switch and PC. Check it out below… and remember, if you like the video, please give us a thumbs up, a share and a little follow. It is all hugely appreciated.